How much bootstrapping is needed before being able to have a product capable of providing the cash flow needed to run the company? 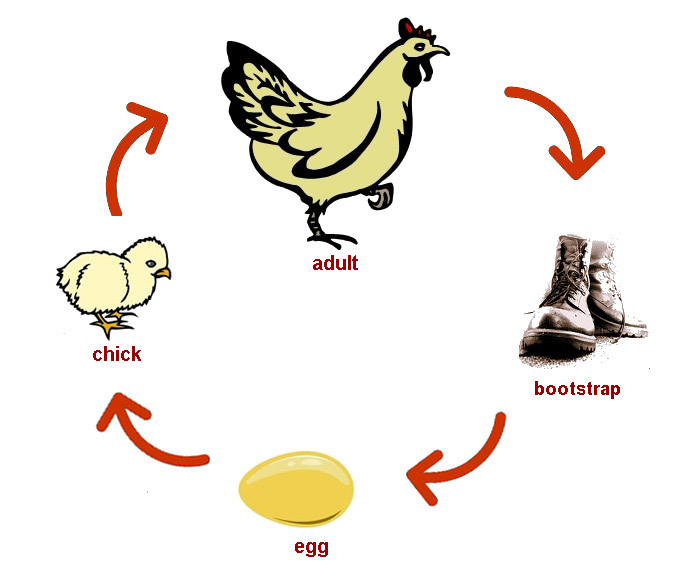 It seems that coming out for the chicken-and-egg recursion is quite tough. Developing the product takes time but bootstrapping also requires lots of resources that lower the priority for the product. The obvious answer to the question above would be to use the time needed for the development of the product to maximize the impact of the tasks to be completed and tune these tasks so that the result is the sought-after minimum viable product. But again, what if the minimum viable product is not minimum enough and is lacking the functionality that could allow it to succeed? This goes back to business acumen and focus inside the company. Calameda is now facing some very interesting challenges that might bring us to complete our first mobile application before the end of the year but as said before, there is a lot of chicken-egg-bootstrap going on. This entry was posted on October 14, 2011 at 11:45 am and is filed under Product Management, Startup, Uncategorized. You can subscribe via RSS 2.0 feed to this post's comments.